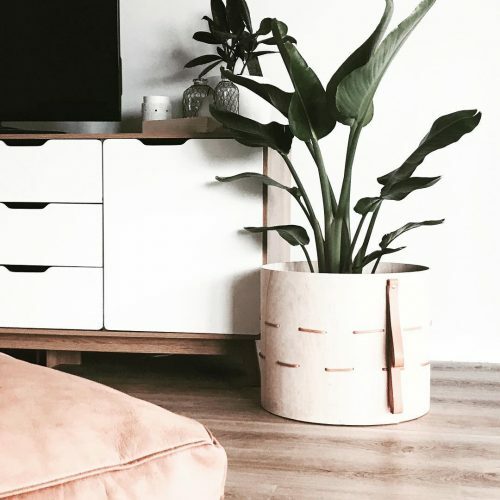 Do you also get inspired by following beautiful interior accounts on Instagram? And do you wonder how they decorate their home? Then stay tuned ? 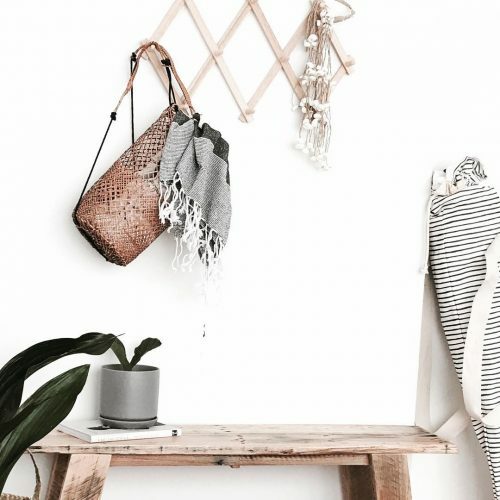 I have asked Caitlin, the woman behind the stunning interior account, @thehouseonbeachroad, what her styling rules are. 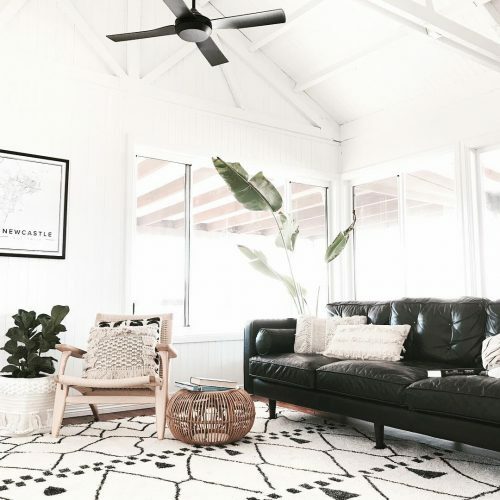 Personally I am crazy about the geometric, black and white area rug to the black couch and monochrome local poster ? 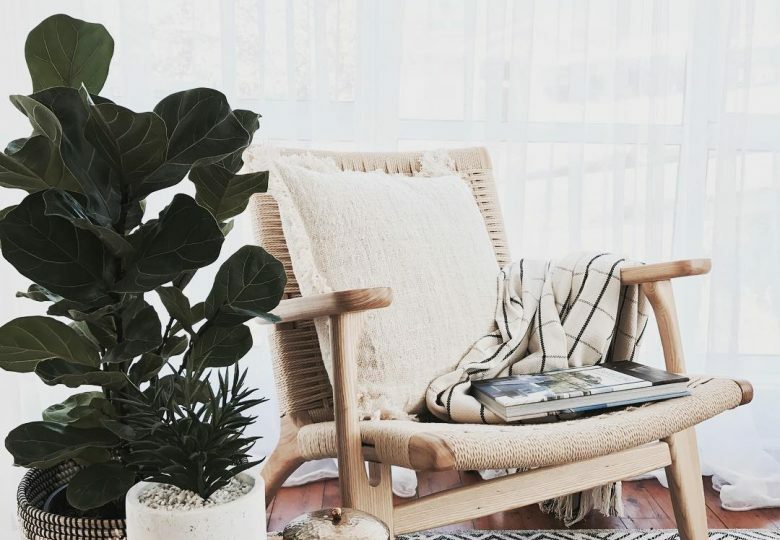 The wooden armchair, the textural pillows and beautiful plants gives her modern home a natural look ? The main rule that I follow when styling is to work with what I love. 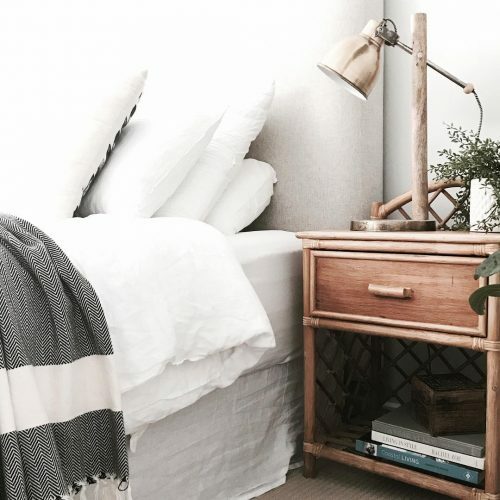 I adore neutrals and texture so I try to use these to create interest in my rooms rather than colour. I’ve tried colours but they never seem true to my style and I always end up going back to my beloved whites. I also love finding second hand and vintage furniture and giving it new life so I don’t believe everything has to be brand new to work. My final rule is if you want a pop of colour, add a plant. 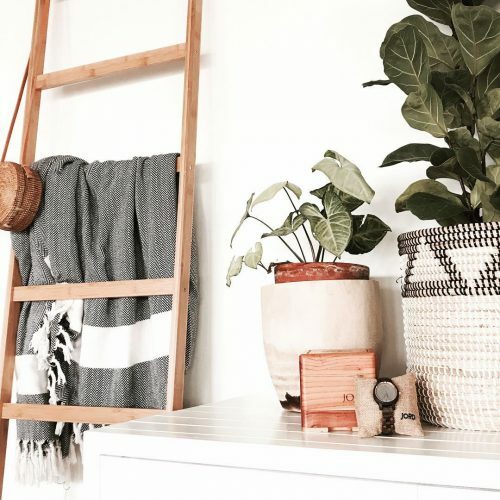 I’m plant crazy and love the freshness they bring to a room. Here is an example of her love for vintage, neutral colours, whites and plants? How do you like her home? You can follow her instagram here. Tip: If you are looking for cool wooden interior check out Wood Junkie, Woodsup, and Luthers Design.